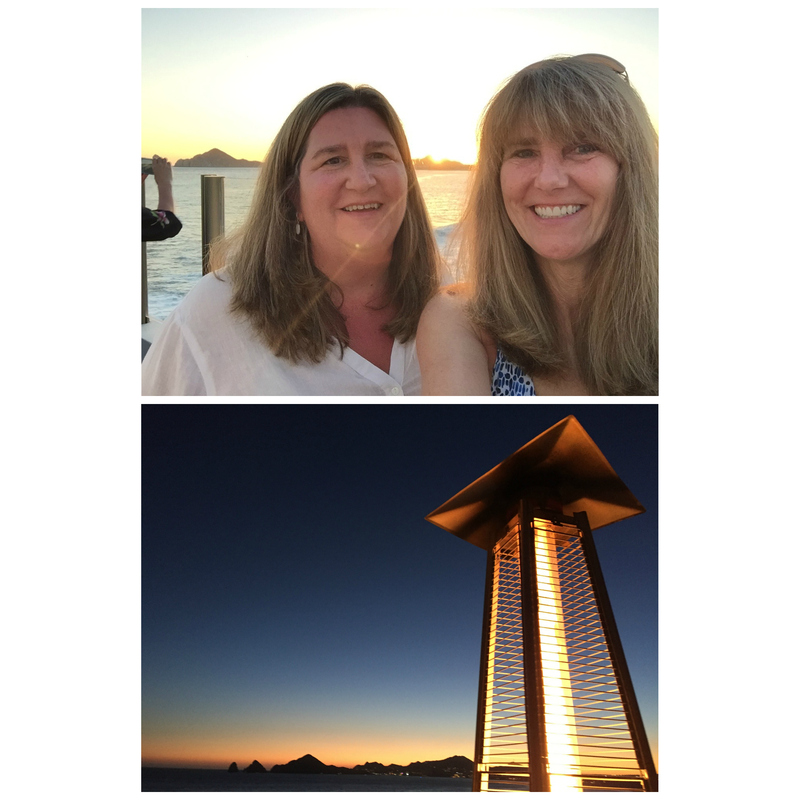 Two weeks ago I travelled to Cabo San Lucas with one of my oldest and dearest friends, Suzy. We have been by each others sides through thick and thin; between us there have been three weddings, one divorce, the births of five children, and over the years, we lost, then buried, each of our parents. 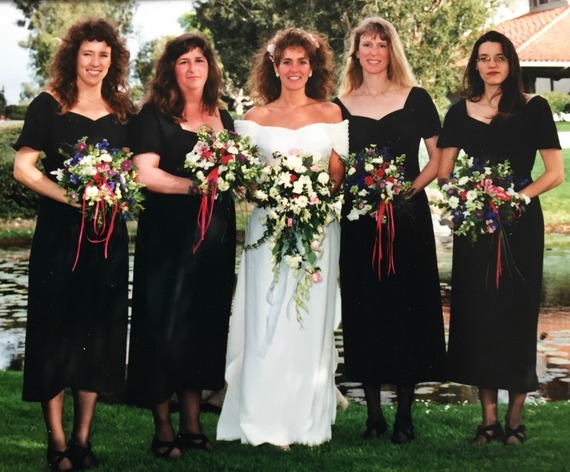 When my husband Jimmy and I were married in 1995, a first for him and a second for me, Suzy was one of my bridesmaids. 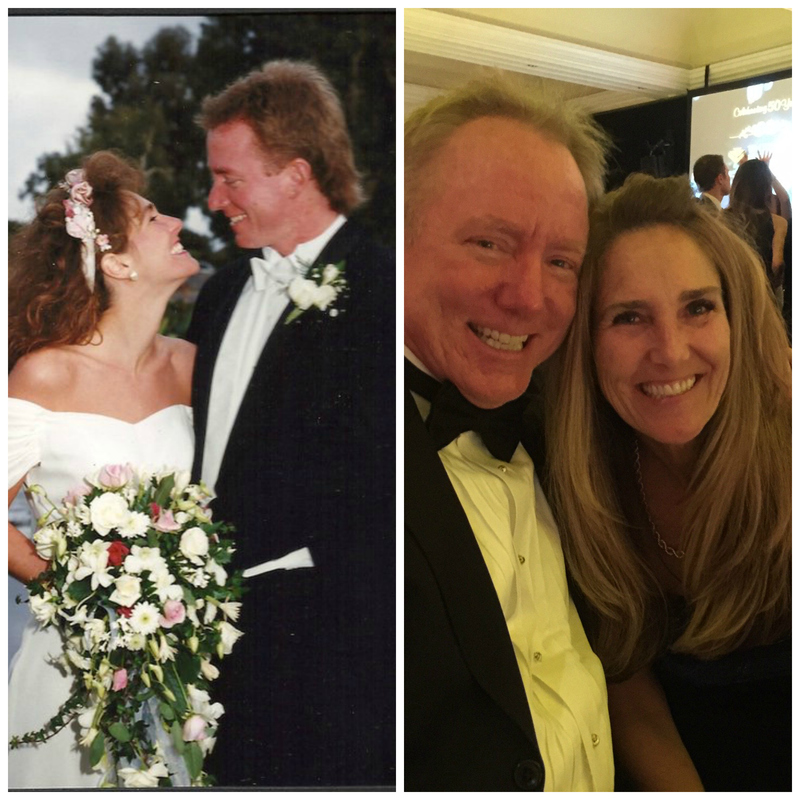 At the time I remember thinking a veritable lifetime would pass before Jimmy and I would celebrate our 20th wedding anniversary -- yet here we are now -- a year and two months past the landmark I could only imagine back then. For her part Suzy just passed the 17-year mark with her husband, also a Jim. Together we marveled over the length of road behind and the stroke of luck over the fact that we both are happily married. 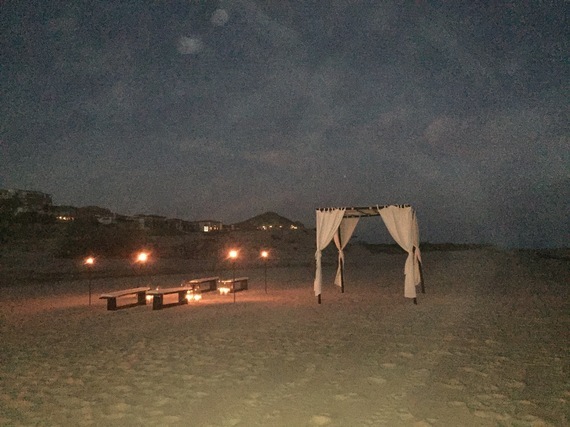 Little did we know when we headed to Cabo that the shear beauty and magic of the place would inspire us to hatch a plan to return to Cabo, husbands in hand, to reaffirm our marital vows. According to the American Psychological Association (APA) 40-50 percent of all marriages in the USA end in divorce and an even greater number is ascribed to those, like me, in their second marriage. Perhaps the yummy drinks played a role, but, from where we sat poolside, we decided that beating the marital odds was more than celebration worthy. They didn't have the wedding they dreamed of: Couples from days gone by may have elected to tie the knot with a Justice of the Peace because their parents shamed them due to a pregnancy or didn't approve of their choice in mate. Or, what so many young people experience, money was tight. The marriage has suffered emotional turmoil: Some couples have had more years that fall into the "for worse" category but manage to persevere, later they choose to recommit because reaching the "for better" side of their relationship deserves to be underscored by vow renewal. A landmark anniversary is imminent: The celebration of a silver or gold anniversary is a wonderful time to honor a marriage by reaffirming your commitment. Regardless of the reason, Cabo San Lucas was a fabulous place for the two of us to color the blank canvases in our minds. There were several venues for us to consider beginning with the lovely resort where we stayed, The Sheraton Hacienda Del Mar Cabo. 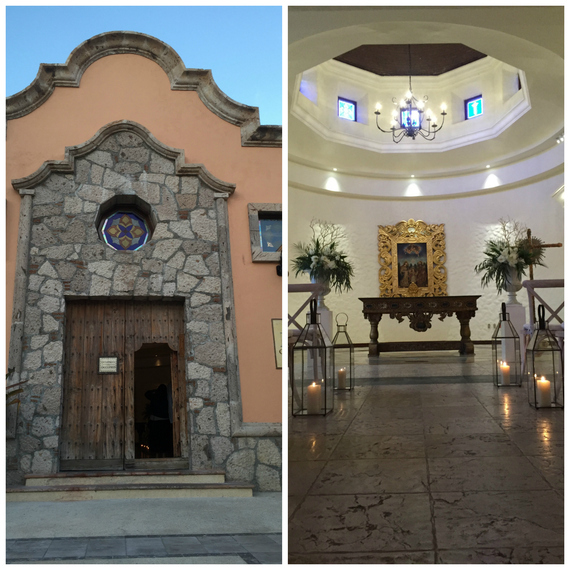 Although it offers numerous stages to renew ones vows on the first of the two options we admired was a quaint chapel, Capilla Salon de Eventos, where any denomination is welcome. Once you cross the threshold of the old world door you are received by a chapel mostly lit by candles. The second spot we spied was the beach. Little compares to a natural pergola draped in white fabric, lit up by torches, set up in the sand with the Sea of Cortez serving as backdrop. Having been married in a church twice the idea of a seaside renewal appeals to me the most. 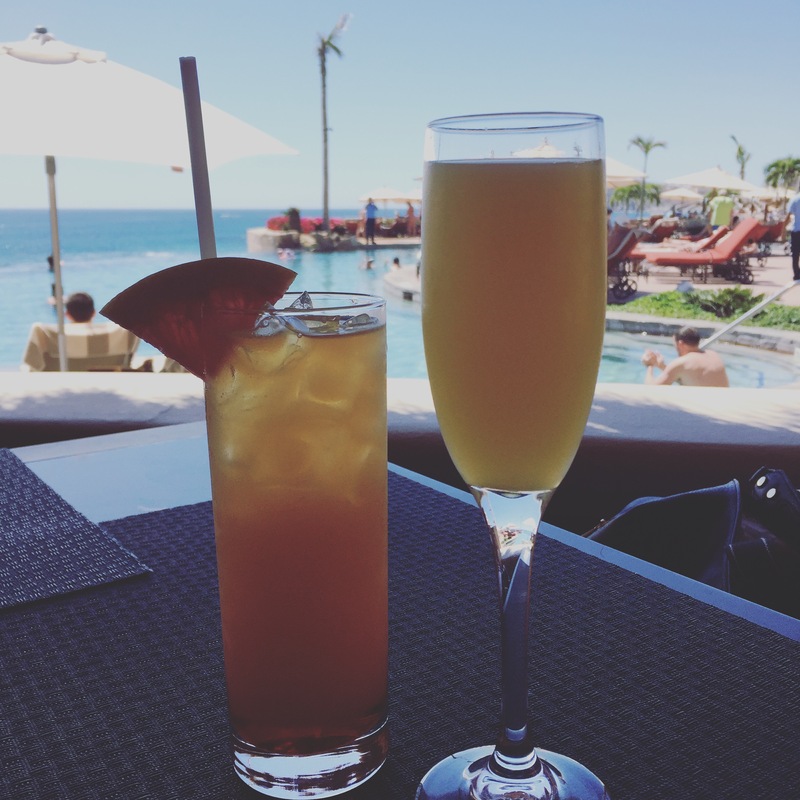 But, being in a place like Cabo San Lucas allowed us to dream of other settings too. We dined on top of a cliff at a lovely restaurant called Sunset de Mona Lisa, which provided us a broad sweeping view at sunset. The manager there told us they hosted many events associated with love, then, he shared a story about an engagement that was actually a wedding. Say what? You read that right! The would-be groom staged an entire wedding without his then girlfriends knowledge. After he proposed he asked her if she thought the idea of being married at the cliffside restaurant suited her, who she would invite, what she imagined wearing, who would officiate...to her surprise her soon to be husband already knew the answers and they were married that evening as the sun tucked itself behind the landmark Cabo San Lucas arch. I can't help but wonder if that bride will one day choose to surprise her groom with a reaffirmation ceremony, one she can plan right down to the tiniest of details. Each couple that considers renewal has their own personal reason for choosing to do so, for me, the idea of having all three of our children participate in a ceremony where their parents demonstrate that we would do it all over again seems like as good a reason as any. This handsome Academy Award winning actor -- who hasn't aged much since <em>People</em> named him Sexiest Man Alive in 1996 -- met his future wife, Pauletta Pearson, on the set of the television film <em>Wilma</em> in 1977. They were married on June 25, 1983. After having four children, the couple renewed their wedding vows in 1995 in South Africa; the ceremony was officiated by Archbishop Desmond Tutu. Denzel's long-lasting marriage is most likely due to his healthy philosophy: "<a href="http://www.whosdatedwho.com/tpx_705/denzel-washington/quotes" target="_hplink">Acting is just a way of making a living, the family is life.</a>"